How Can We Stop Arguing and Save Our Relationship? 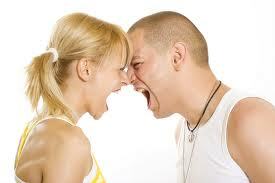 Why Can’t We Stop The Arguing in Our Relationship? It’s not a secret that relationships can be complicated, challenging, and just downright difficult at times. The relationship between a couple usually starts out with feelings of light-hearted playfulness and not much conflict, but somewhere along the way one or both people in the relationship will start having critical attitudes towards the other. Then one person feels the other isn’t concerned enough, nags too much, defies the other’s wishes, or is just WRONG. Of course this usually means the other half of this relationship feels it’s quite the opposite and actually his or her partner is the one who is wrong. Cue the arguing. These issues are very common for couples and marriages. Unfortunately, according to studies by John Gottman at the University of Washington, only 20% of marriages last for the long run when these criticizing views and expressions continue in the relationship. This is why it is so important to address these issues in your relationship and learn how to overcome them. So how does it get to this point? Better question is, how do you get it to stop? How do you save your relationship? How can you get your point across without it turning into a disagreement or blowing up into a fight? Well it may not be the easiest answer you are looking for, but you may need to put in some work to change your thought process. Okay, so maybe that sounds like a non-option… I mean, you can’t just say, “you’re right” all the time! I’m not saying you have to, but I am saying that there can be a better way to address your concerns, a way that will actually get your partner to show you concern, listen to you, and might even be willing to make an honest effort on his or her own. It turns out that studies show if you express vulnerability to someone you have an emotional bond with, that person will most likely respond with empathy. For example, let’s say your husband (or wife, boyfriend, or girlfriend) just invited his parents over for dinner this weekend without consulting you. You might normally respond with something like, “What’s wrong with you? I can’t believe you are so inconsiderate! This is so typical of you to not even care about my plans. You always do the wrong thing.” I’m pretty sure this discussion will not go over so well. This response shows more vulnerability and expresses your genuine concern instead of blaming your spouse for doing something wrong. You are much more likely to get compassion to your feelings, which leaves you able to express yourself, and for him to not feel like he is being attacked. Did you know that our brains have “mirror neurons”? These are the things the create us to feel sympathy and understanding of others. This sort of explains why most people will respond to vulnerability with empathy as mentioned above. But this also shows how starting a discussion in a negative or criticizing way can lead to the other person responding with negativity or defense. If you try to start a conversation with compassion and show interest in the other person’s feelings, it’s more likely you will get a positive reaction back and can have your discussion without walls immediately going up. Many times an outsider doesn’t see the issue between a couple as one person being completely right and the other as wrong (okay, well maybe your close friends do, but they may be a little biased). Consider that you and your spouse don’t always have the same opinions, reactions, or think or do things the same way the other would. Yes, you want them to understand you and respect your feelings, but when they do something you consider “wrong”, it may not be the same way they see it. Could your partner not have realized what you wanted or how something would make you feel? Is the issue more important to your partner than you realize? Are you drawing conclusions to things that your partner is not really saying? Would your partner be upset if the shoe was on the other foot? Could you two just have a difference of expectation regarding a matter? It might be easy for you to say, “okay, I can try to be more understanding and express my emotions without attacking or saying my partner is wrong” now, but it can easily be a different story the next time you get aggravated. When people feel threatened, it’s automatic to put up guards for self-protection. You may feel frustrated, hurt, angry, used, or disrespected by your partner/spouse and have a natural reaction to get defensive and try to prove your stance. Really try to use the techniques above during these times especially. Make yourself a list or reminder that you can refer to next time you have these feelings, and try to change this natural reaction to one that will be more effective for expressing your needs and helping your relationship. The brain actually needs to keep practicing this new attitude several times in order to re-wire your thought process. Don’t give up… It will take some work to readjust how you react to situations, but it will get easier with practice. 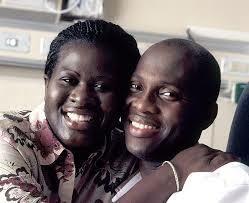 Couples or marriage counseling is a great way to start practicing repetition and mending or growing a relationship. This also gives you another perspective and allows for you to see that your partner is probably not trying to hurt your feelings or make you angry and frustrated, but might have their own concerns. Relationship counseling or therapy can help couples learn how to be less critical of their partners and spouses and even let themselves be more unguarded, which will help bring the couple closer together. Click here to contact Licensed Marriage and Family Therapist, Susan Block, LMFT for a Free Consultation. A relationship consists of two people, and each of them has to make effort, but when one gives a little you might be surprised at the effect it can make. Don’t let yourself fall into that 80% of couples that fall apart due to simple differences and bickering. YOU have the power to make your relationship a better one. To read more about this topic, click here for a great article by another Marriage Counselor, Brent Atkinson, PhD, where I have found research and a common perspective for this blog post. To learn more about marriage or couples counseling for your relationship, please explore my website and the rest of my blog. If you are interested in scheduling a free consultation with me, I would be more than happy to hear from you so we can start working on building your relationship back together.